“Crazy Rich Asians” dazzles, but …. “Crazy Rich Asians” is wealthy in both stereotypes and charm. It helps put Asian actors and actresses into the mainstream of Hollywood film, but underlines the tired themes of “dragon lady” mothers and Cinderella endings. 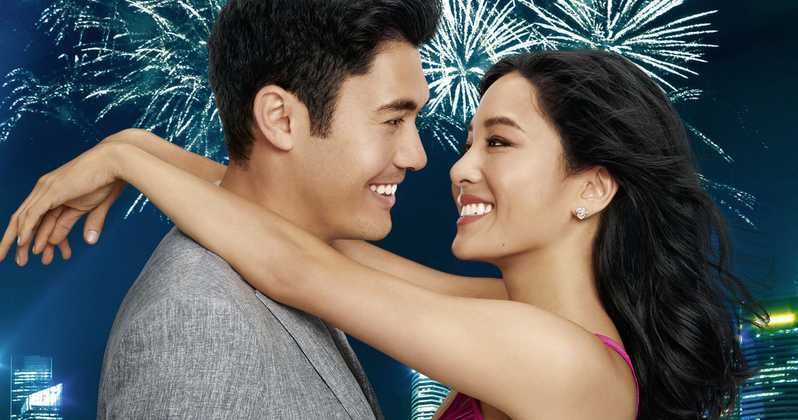 “Crazy” revolves around the story of Rachel Chu (Constance Wu), a Chinese-American professor at NYU and her beau Nick Young (Henry Golding), a Chinese Singaporean. He wants to fly her back to the island nation to meet his fabulously wealthy family. His people are billionaires and hers are … well, poor but mostly honest. The visuals of this film, based on a book by Kevin Kwan, are stunning and gorgeous throughout. The viewer gets the impression that Singapore is a gilded Disney World filled with pretty and pretty stuck-up people. You hardly ever meet or even catch a glimpse of anyone not wearing designer clothes or riding in Mercedes or Bentleys. It’s like a Fifties European fantasy about Texas, with flamingos instead of cattle. Although there are a few twists here and there in the screenplay by Peter Chiarelli and Adele Lim, the conclusion is in as much doubt as the outcome of a Jackie Chan fight. Wu is marvelous as a sweet woman who develops (or reveals) a bit of steel when necessary. Golding comes across as pleasant beefcake. Director Jon Chu has made an entertaining film with dazzling visuals and one outstanding performance. Let’s see if the sequel raises the bar a bit above the “happily ever after” stuff that Hollywood churns out like [spoiler alert!] chicken dumplings. “Crazy Rich Asians” is rated PG for some language and sensuality.